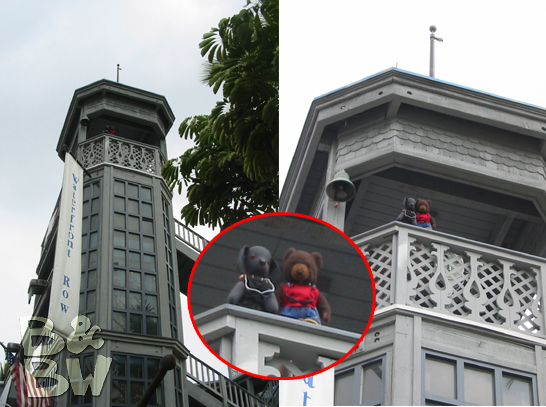 The boys' visit to Paramount Studios in 2005 has finally paid off. Have a look at this YouTube video of the opening sequence of their new series to be set in Hawaii. The boys have made two visits to Hawaii. The first time was in March and April of 2006. Their most recent trip was in May of 2007.
click here to see the photos of their first trip in 2006. The boys got fed up waiting for summer to arrive in Toronto, so they took off for the Big Island of Hawaii in May for a few days of fun in the sun. 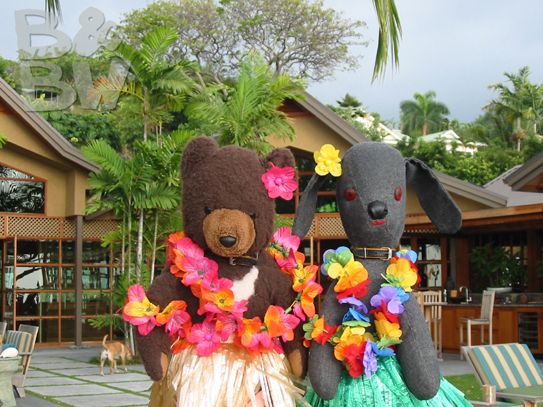 One of the things the boys like best about being in Hawaii is that, unlike in Toronto, they can wear their leis and grass skirts without attracting any strange looks. ...lounging and cocktails by the pool. "Hey, dog! Can you get me some suntan lotion?" 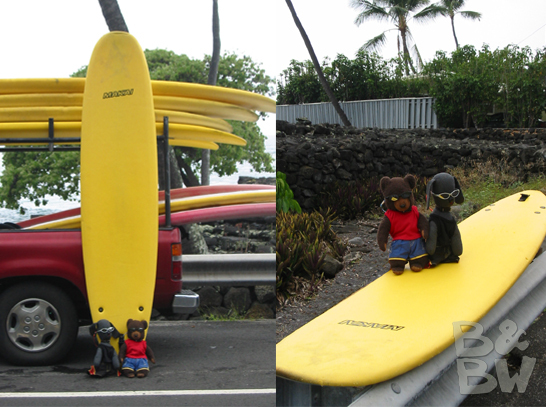 Each being only 17 inches tall, the boys need a good vantage point to get a good view of Kona. 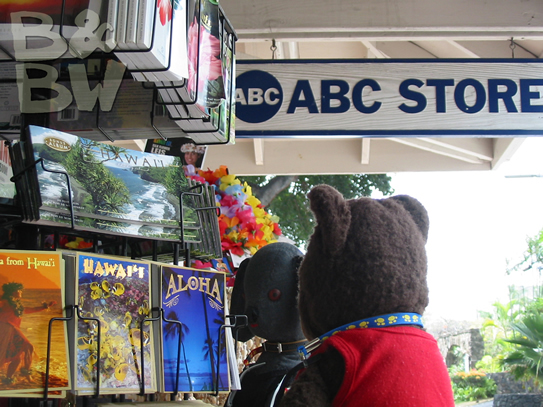 While checking out the postcards at one of the ubiquitous ABC Stores, the boys were inspired to take up surfing. The boys grabbed a longboard off the truck and quickly mastered the techniques learned during class. 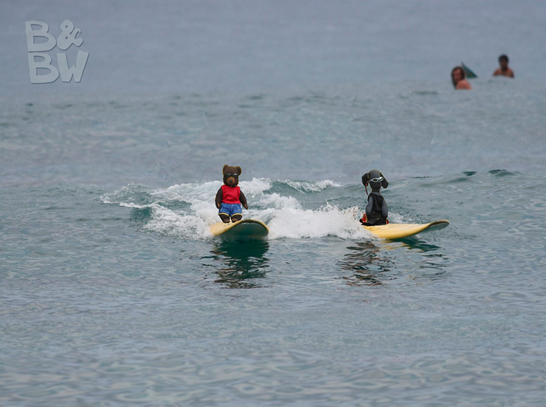 The boys proved to be naturals at surfing. They got up on their first try and managed to stay up the whole time. They didn't even get wet! 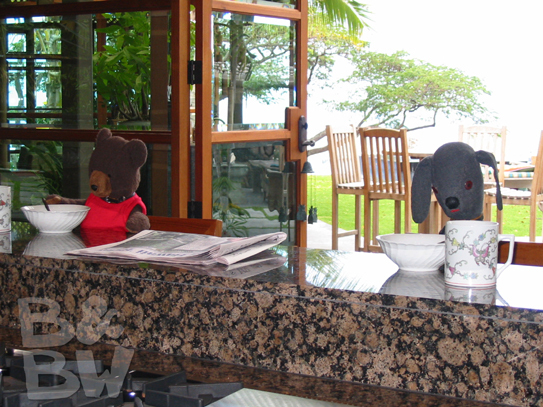 In March and April of 2006, the boys headed to Hawaii to escape the winter blahs in Toronto. 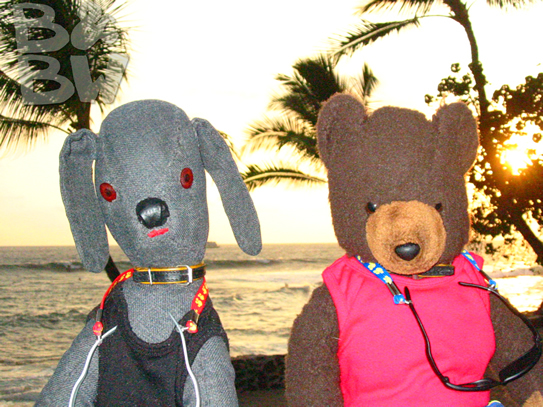 They started their trip in Kona on the Big Island, then headed to the more cosmopolitan Honolulu on Oahu. "Is it Happy Hour yet?" "Is venti the biggest size they have?" "Oh well, we'll just have to lie on the beach all day then." When in Rome... Move your cursor over the picture to see the boys close up. Just don't click. Happy Hour at the Sheraton Moana Surfrider - 2 for 1 Mai Tais! "Drink up Bow Wow, so we can order two more before Happy Hour is over!"